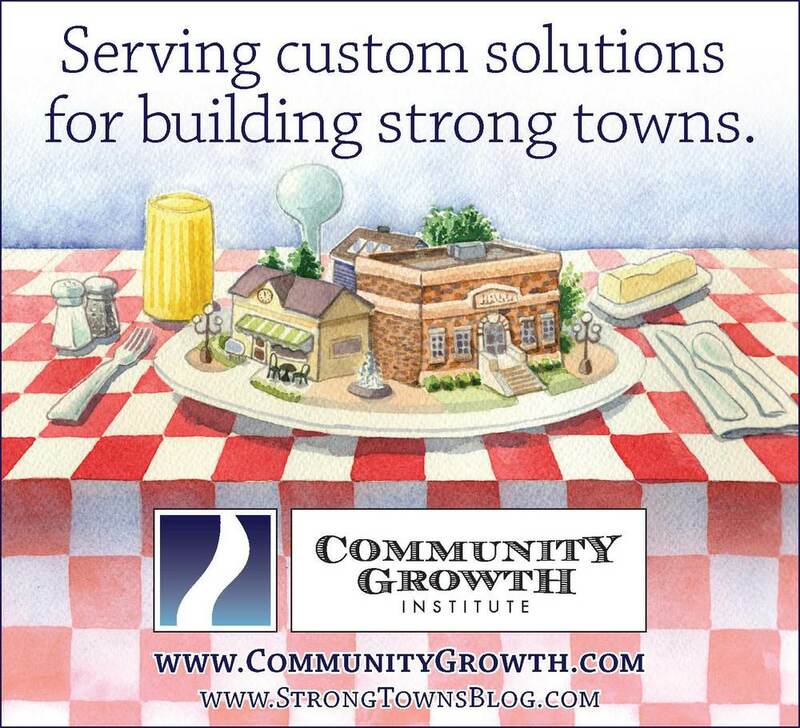 On one of our off-days for blogging this week I wanted to share some inside happenings here at Community Growth Institute. Next year will be our tenth year in business, which statistically means we are here to stay. We've managed to make it the entire time with the same website, hardly any marketing and no advertising. Our growth has been near exclusively based on word-of-mouth, which is the best kind. As we've toiled in the trenches for nearly a decade, we have not lost sight of the notion that we are inspired to be agents of change. And not just change on a local scale but, the more we examine what we see going on nationwide, the more committed we are to broad, systematic change for Small Town America. This blog (and your ongoing feedback) are part of a refinement process for us to ramp our urgent message up to a broader audience. As part of that, we are starting to do some active outreach, including a modest advertising campaign that kicks off with this ad that I wanted to share with our readers. Kudos to the artistic genius of Michael Kooiman for the idea and the amazing work.